This range of attractive Swiss Chalet style hen houses is available in a range of different sizes and is manufactured in England by an established, reputed manufacturer. They are made to a high quality from tanalised timber and marine or treated exterior grade plywoods and galvanised welded mire mesh. These houses are regarded as fox proof and are easy to clean and move. 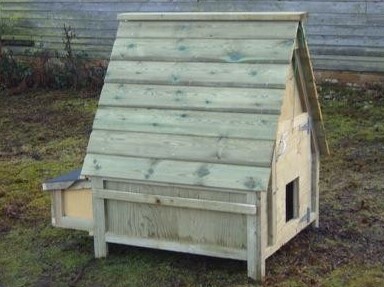 Chicken coops now available with automatic door openers.